SEOUL -- South Korea is reviewing whether to lift its sanctions against North Korea, Seoul's top diplomat said Wednesday, amid a summit-driven reconciliatory mood. 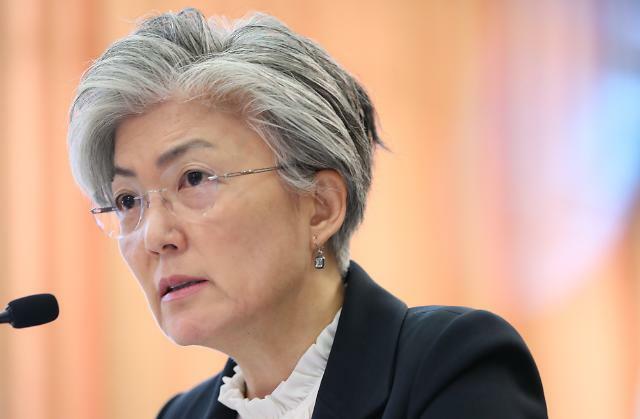 "A review (of the issue) is under way" in consultation with other related government agencies, Foreign Minister Kang Kyung-wha told lawmakers during an annual parliamentary audit of the ministry. She did not elaborate. 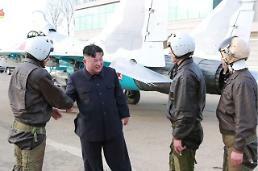 The Ministry of Unification, which handles inter-Korean affairs, is in charge of the issue. Kang was responding to a question about whether the government is willing to lift the sanctions, called the May 24 Measure, imposed after the North's deadly torpedo attack on a South Korean warship, the Cheonan, in 2010. The previous conservative administration of Lee Myung-bak introduced the sanctions to prevent almost all inter-Korean ties except for humanitarian assistance. Despite some cross-border exchanges this year, the main elements of the sanctions, such as a ban on trade and investment, remain valid, overlapping with the U.N.-led punishments of Pyongyang for its nuclear and missile programs. Kang indicated that the government is considering the removal of the May 24 Measure largely as a symbolic step meant to help improve the Seoul-Pyongyang relations. "It's an important executive order. 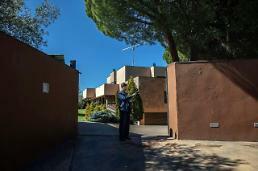 (We) have constantly reviewed it," she pointed out. "As there are many (bilateral) sanctions overlapping the U.N. ones, it won't necessarily mean the substantive lifting (of sanctions on the North)." She added, however, there's no "pan-governmental" discussion on the issue yet, suggesting a decision is not imminent. "I think it's a matter to be reviewed in comprehensive consideration of South-North relations," she said later in the face of immediate criticism. "I mean there's a need to review it with resilience in the level of not damaging the framework of sanctions on North Korea on the basis that dialogue on denuclearization and an improvement in South-North relations is proceeding." Opposition lawmakers accused Kang of talking about ditching the May 24 Measure without a formal apology from the North for the killing of 46 sailors in the Cheonan attack. "The government should first appeal to the bereaved families for their understanding," Rep. Chung Jin-seok of the main opposition Liberty Korea Party, said. A unification ministry official said the possible lifting of Seoul's own sanctions on Pyongyang is a matter to be considered in accordance with future conditions, including denuclearization. On Seoul's financial burden for the stationing of U.S. troops here, the minister reaffirmed that the government will strive for an "appropriate amount." Asking Kang a question, Chung said the U.S. has pressed South Korea to raise its share to around 1.5 trillion won (US$1.3 billion) per year from the current 960 billion won. The demand for the hike is aimed at covering the costs for the regular or emergency deployment of "strategic assets" to the Korean Peninsula, he said, referring to advanced U.S. weapon systems like stealth fighters, aircraft carriers and nuclear subs. "We have strongly delivered our position" to the U.S. in talks on sharing defense costs, Kang said. She also reaffirmed that her administration will continue aggressive efforts to help facilitate denuclearization talks between North Korea and the United States. 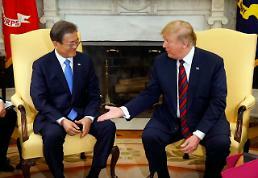 Many agree that South Korea's liberal president, Moon Jae-in, has served as a mediator between the North's leader Kim Jong-un and President Donald Trump. The two sides are trying to work out the date and location of a second summit. 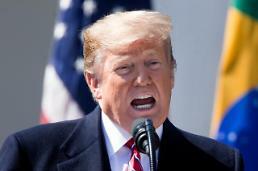 Trump said it will likely be held after the midterm elections on Nov. 6., with a few candidate sites being considered. Kang said working-level negotiations on relevant details are imminent as agreed during Secretary of State Mike Pompeo's latest visit to Pyongyang. While travelling there last weekend, Pompeo had in-depth discussions on the North's denuclearization steps and reciprocal measures by the U.S., the minister said.